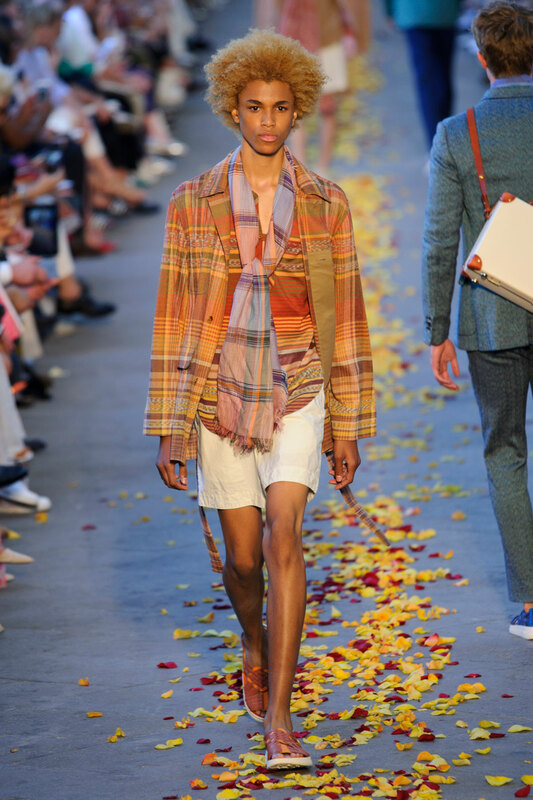 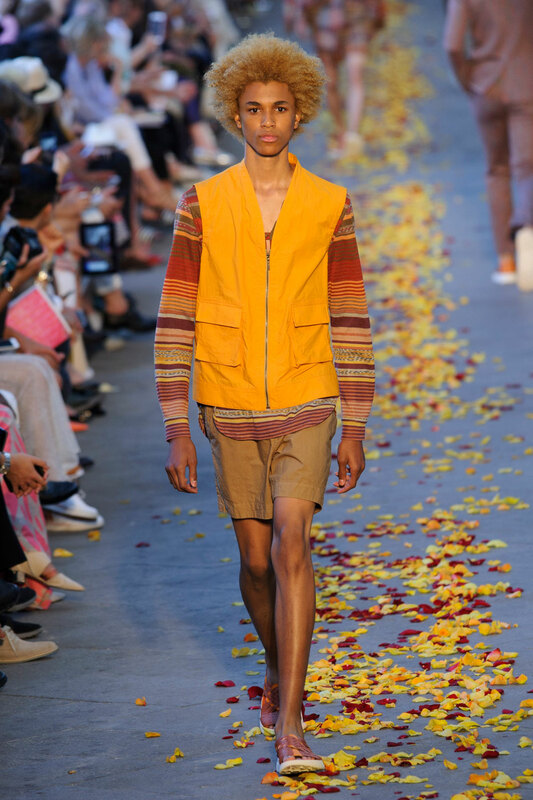 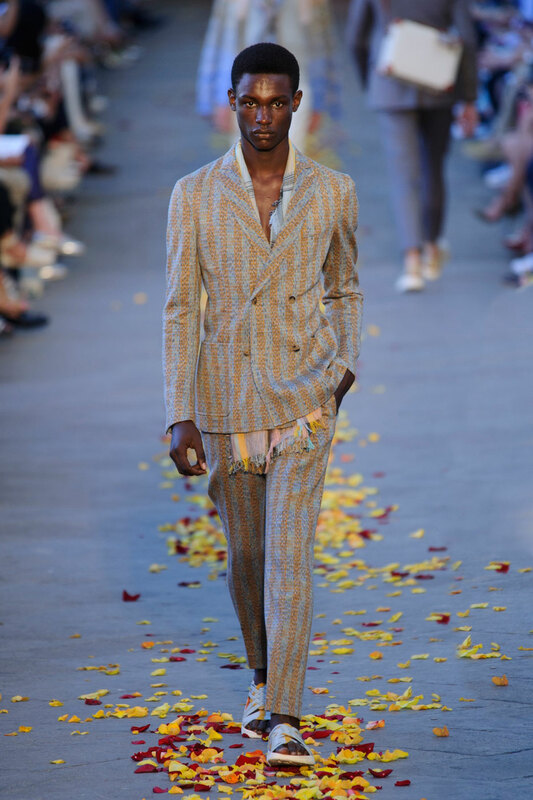 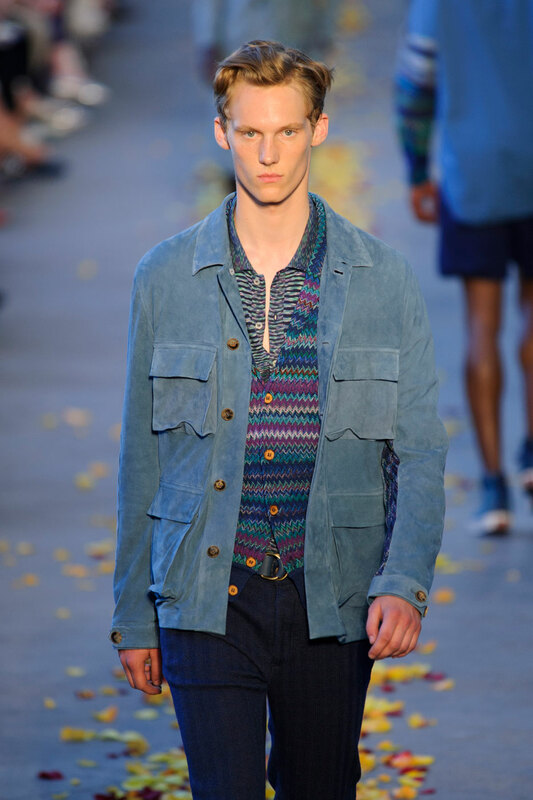 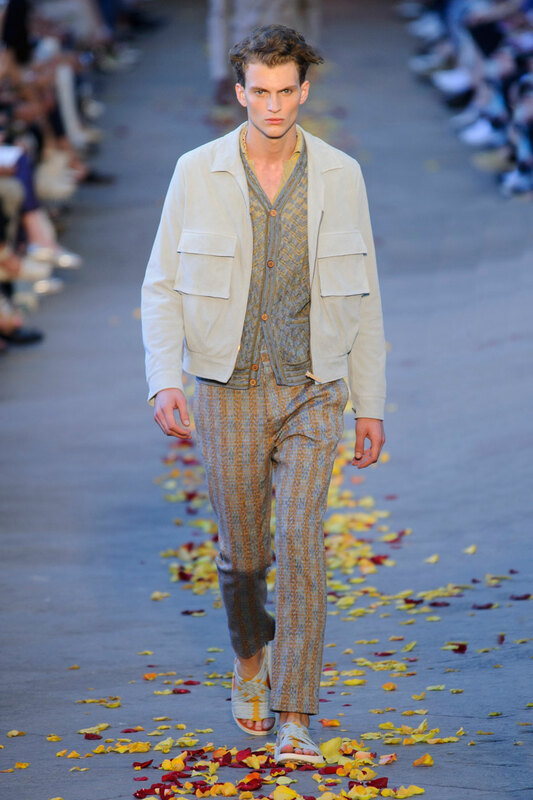 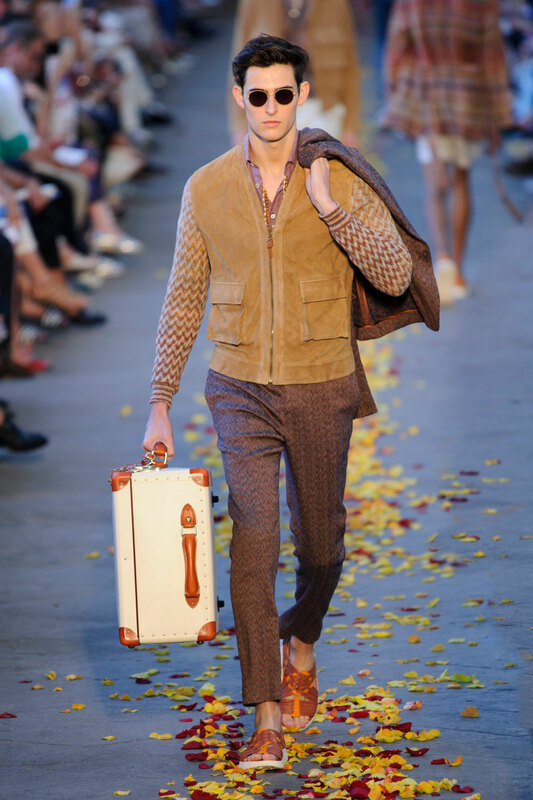 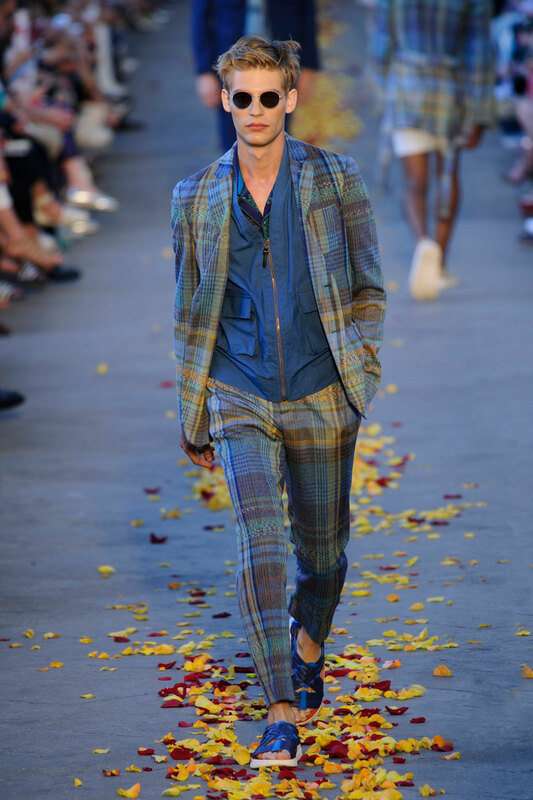 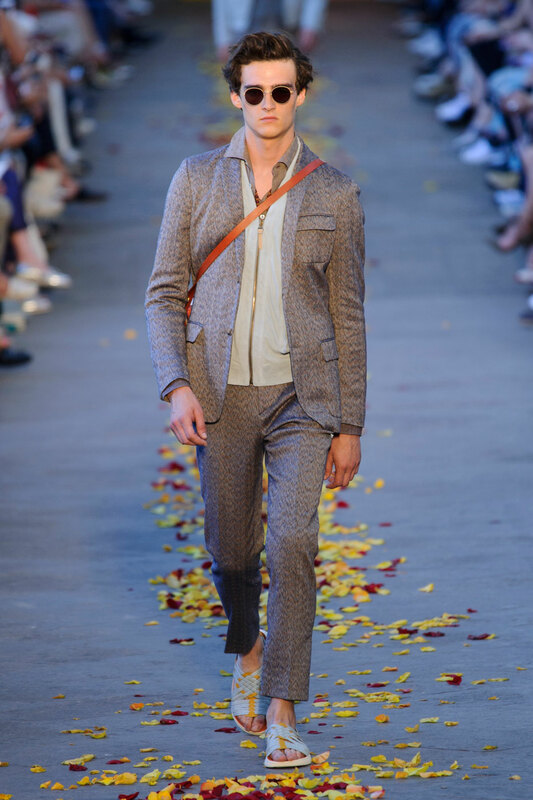 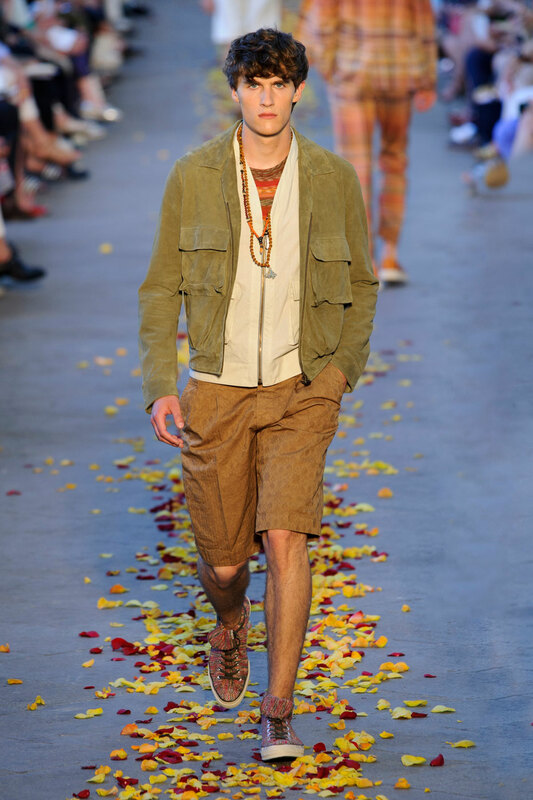 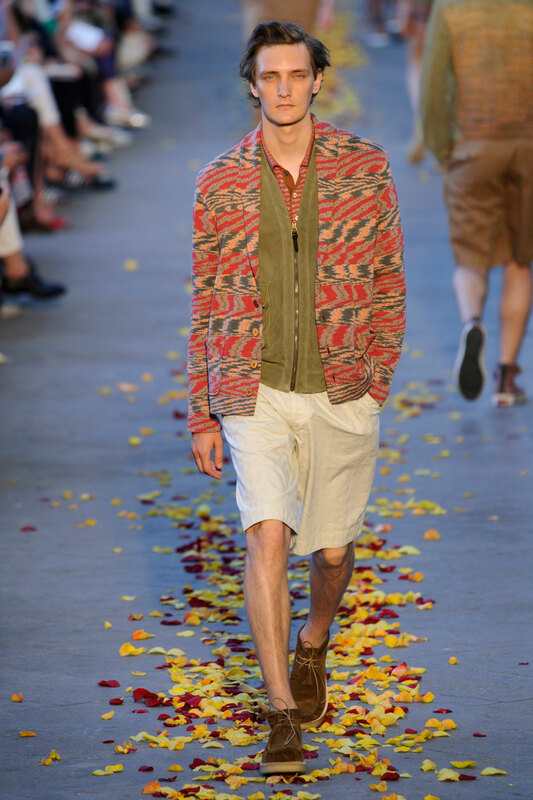 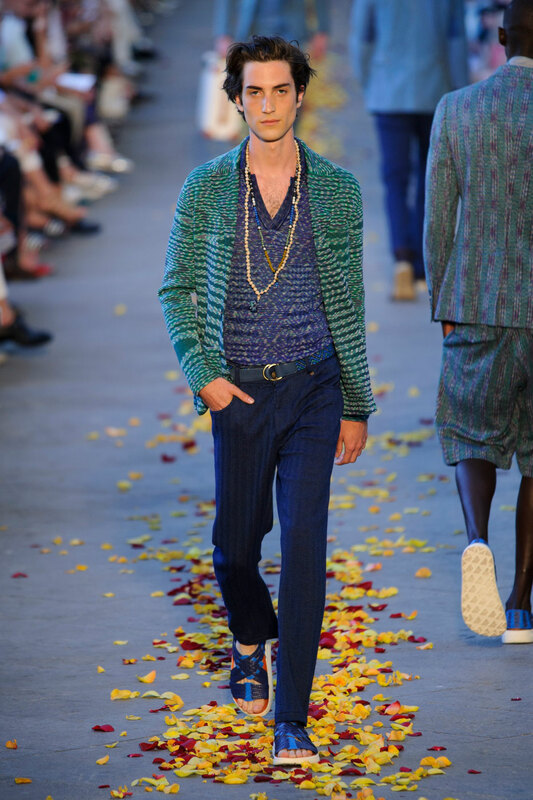 Inspired by mystical African plains, Missoni’s collection is for those who crave adventure. 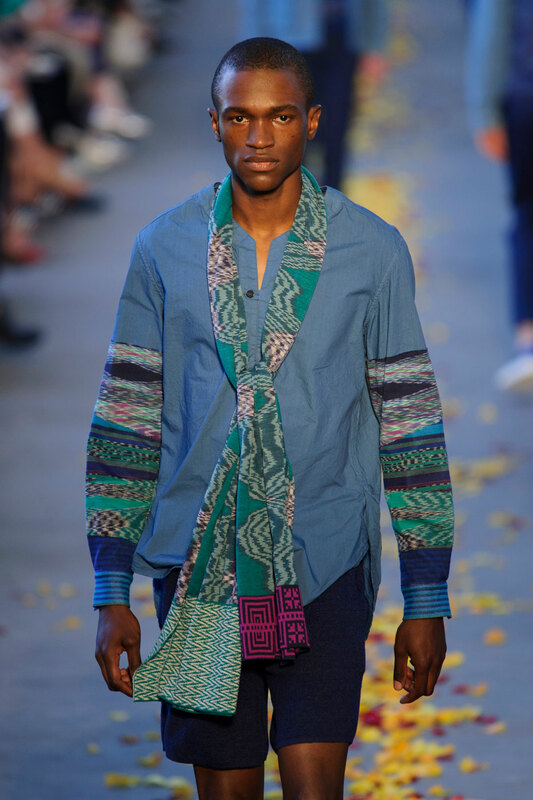 Each piece is lovingly crafted to memorialize African heritage , with tranquil ombre brown and blue patterns adorning each skinny scarf. 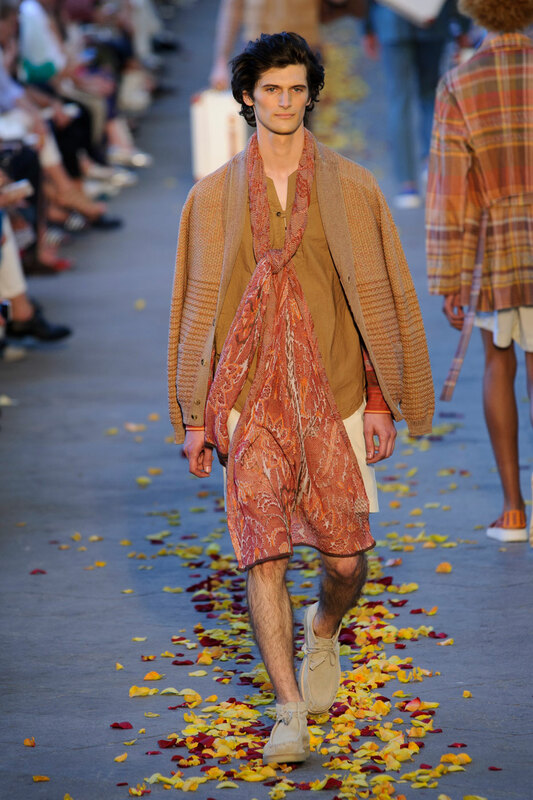 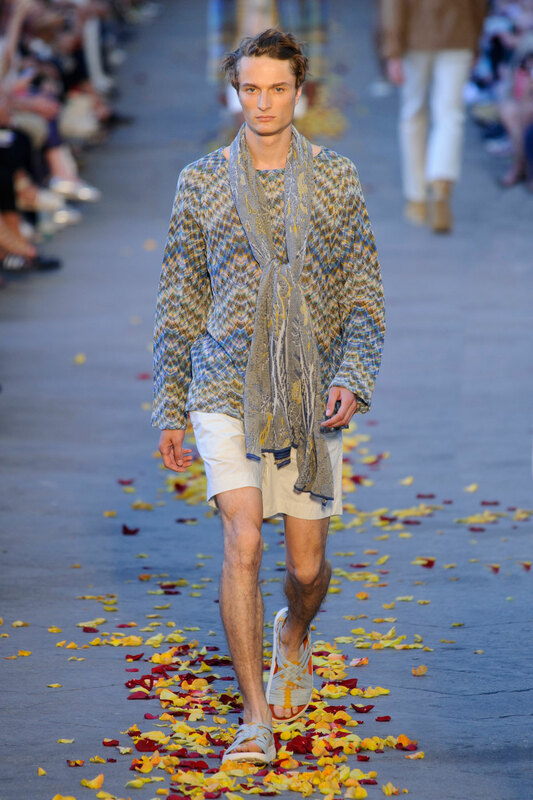 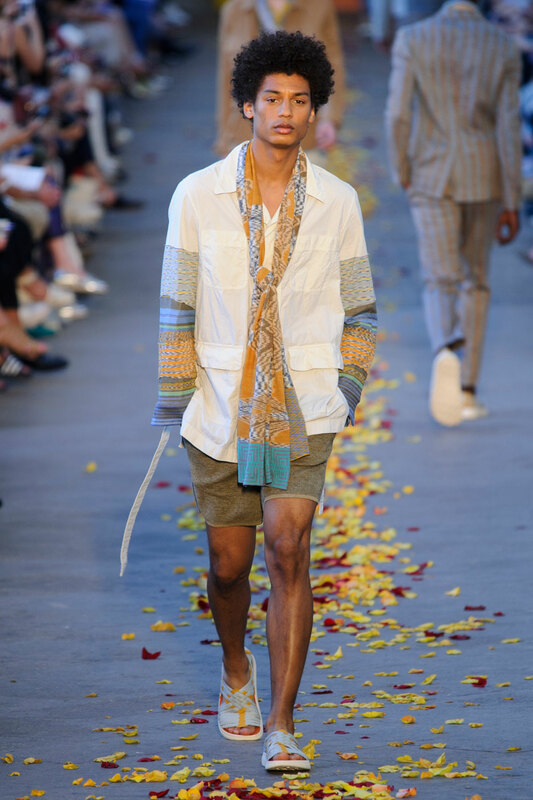 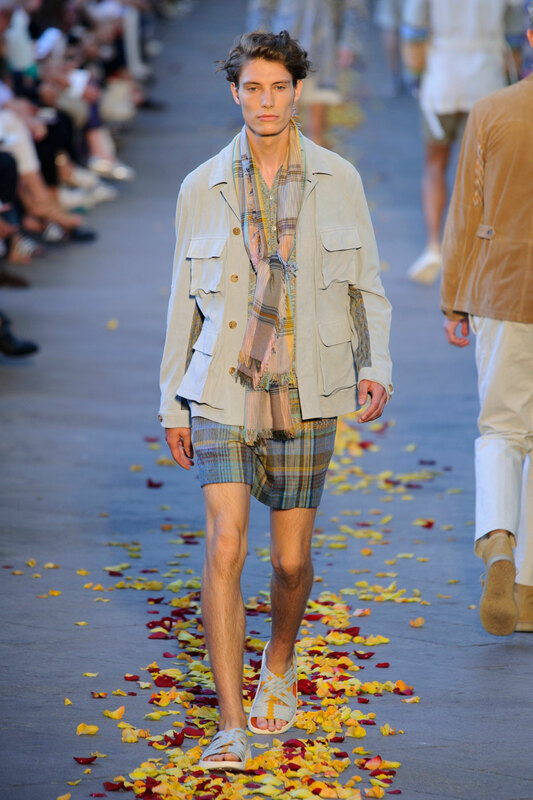 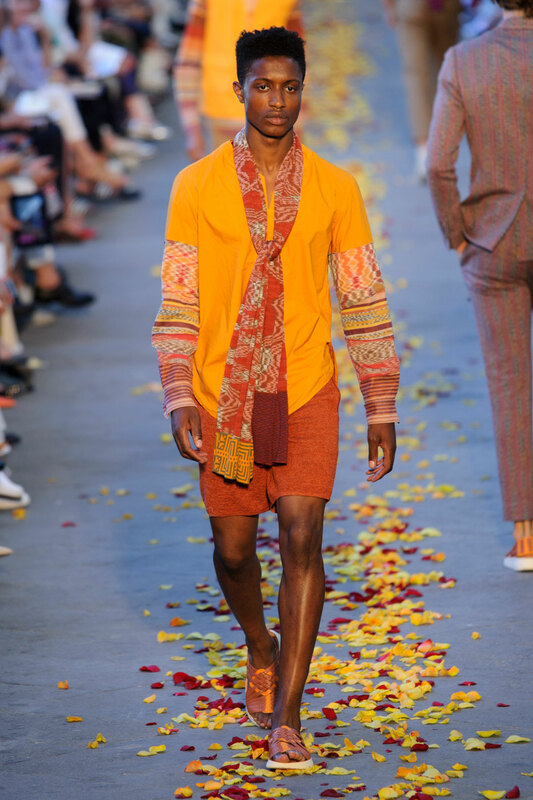 Tousled around the models neck, the ombre scarfs are dreamy with intricate African patterns , while clashing hues make up the rest of the adventurers outfit. 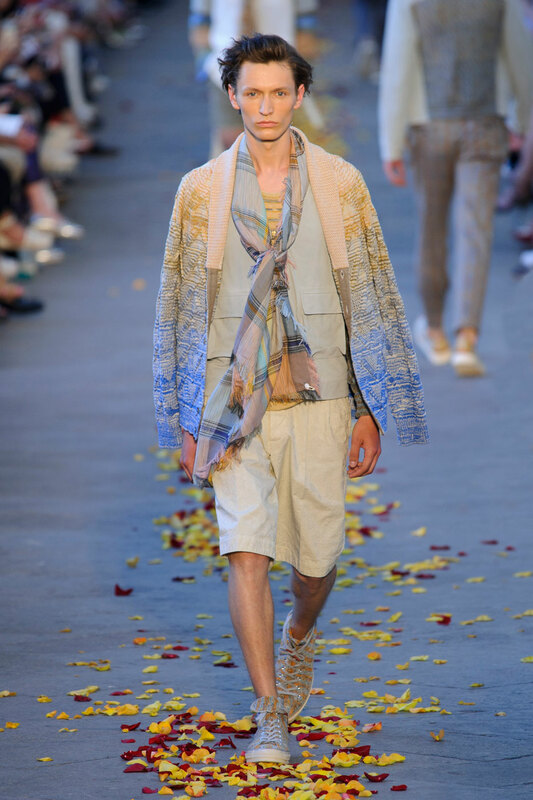 Key colours are blue and brown , mixed lovingly to represent the union between Europe and Africa , with peaceful intentions. 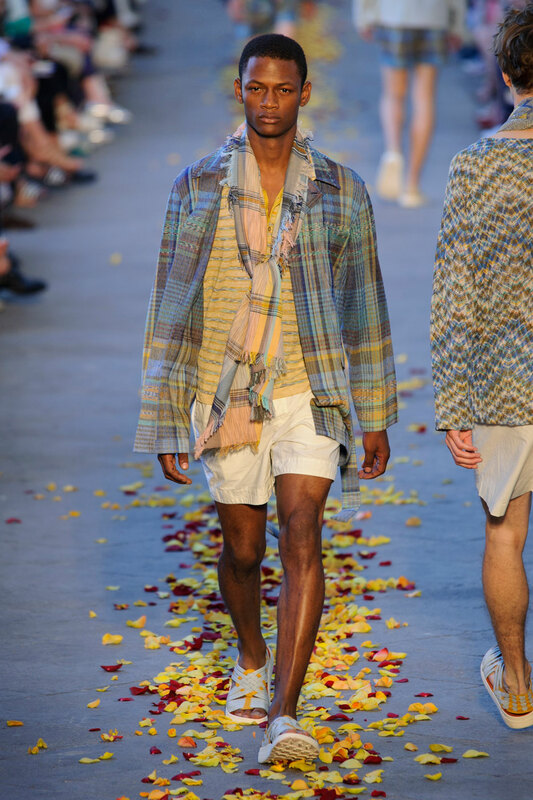 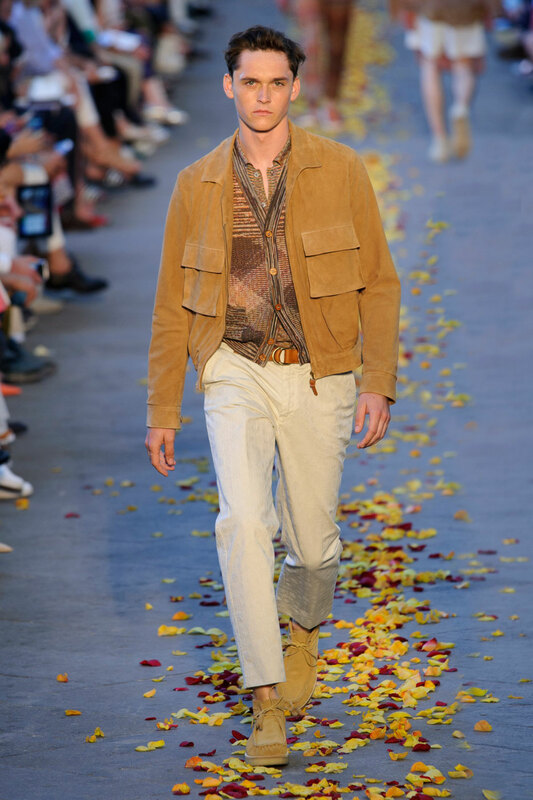 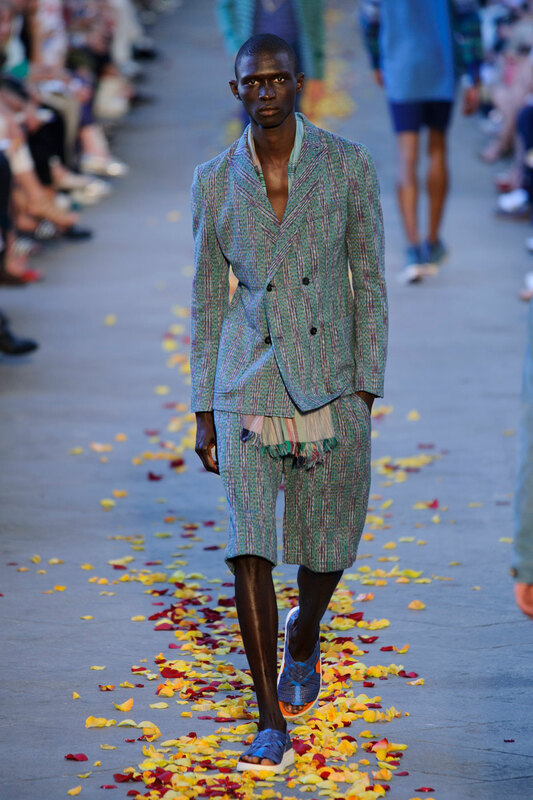 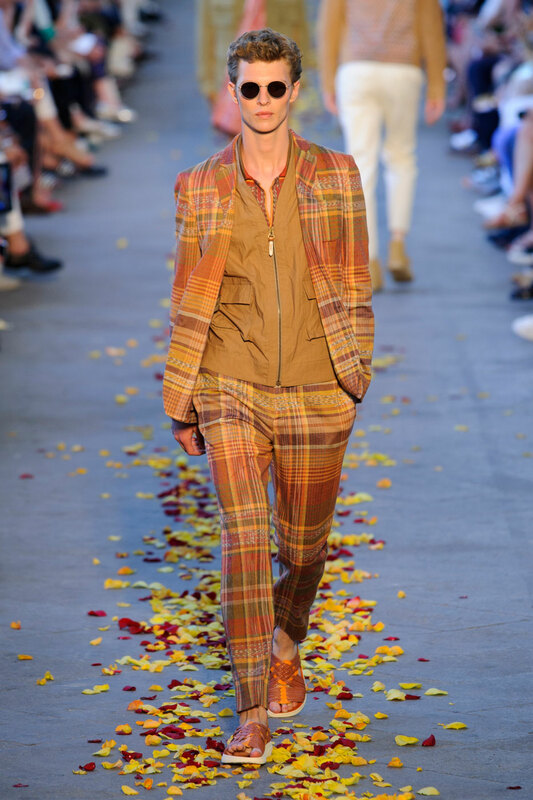 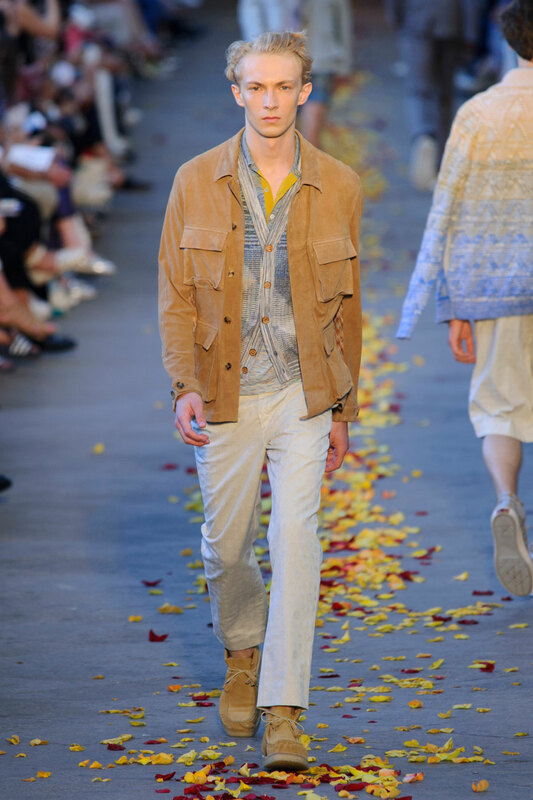 For Missoni , clashing fabrics is a way of combining the old with the new with suede -the fabric of 2015- juxtaposed against the more traditional pressed linen. 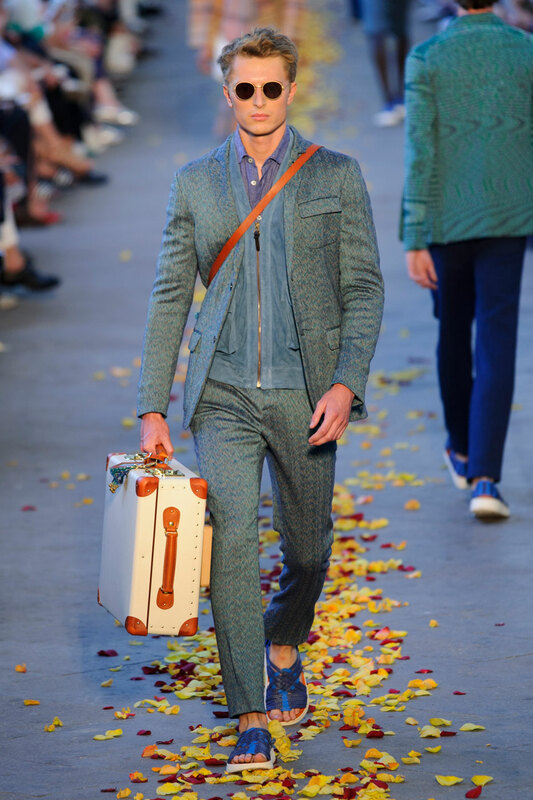 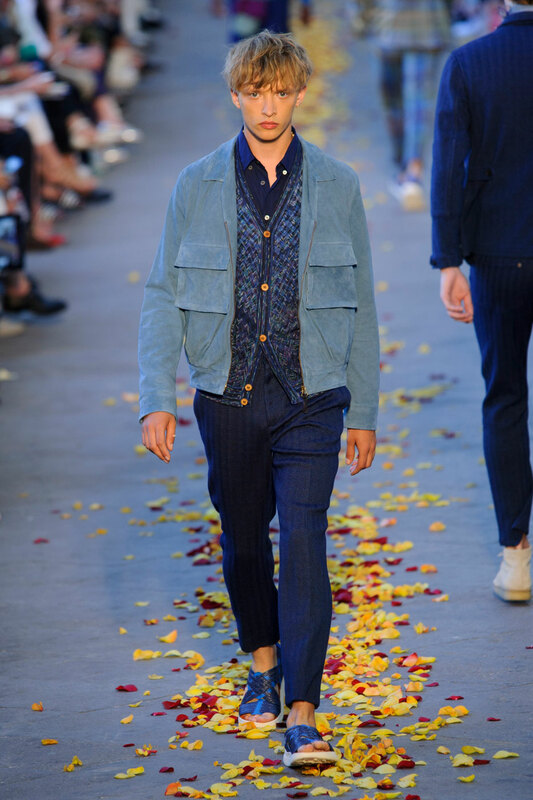 The clash between colours and fabrics not only draws your attention to the collection but it also puts forward new trends that will become popular in 2016. 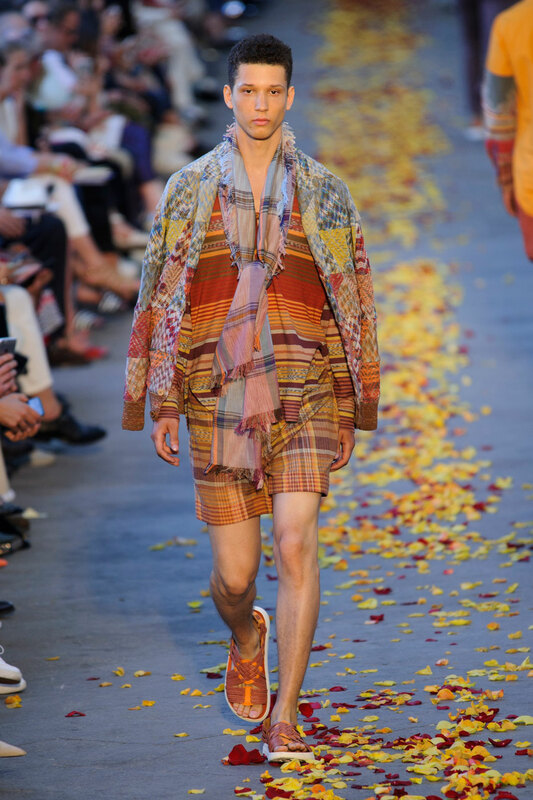 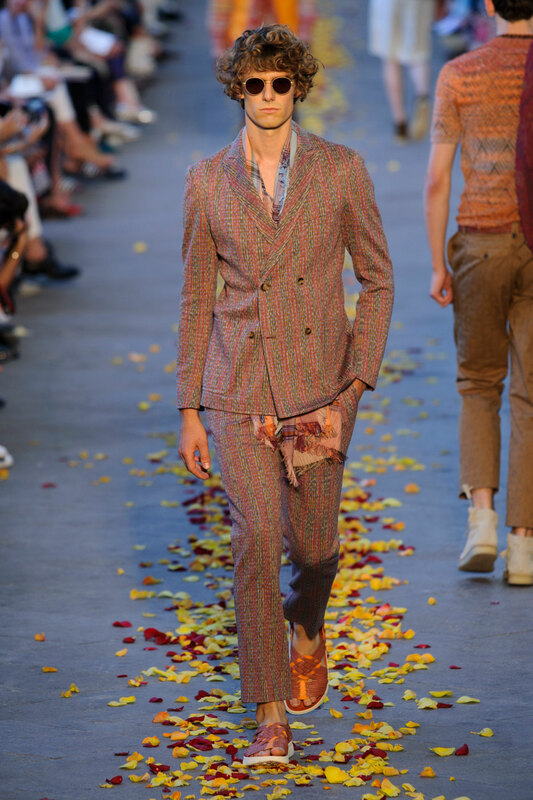 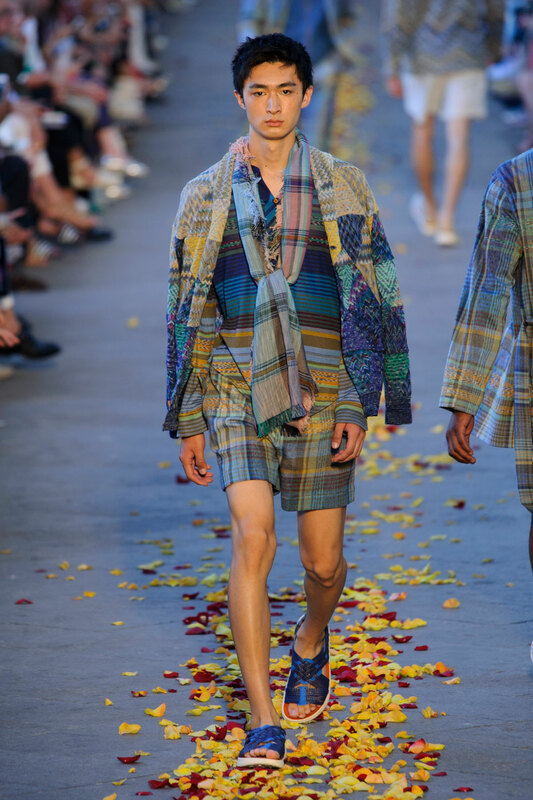 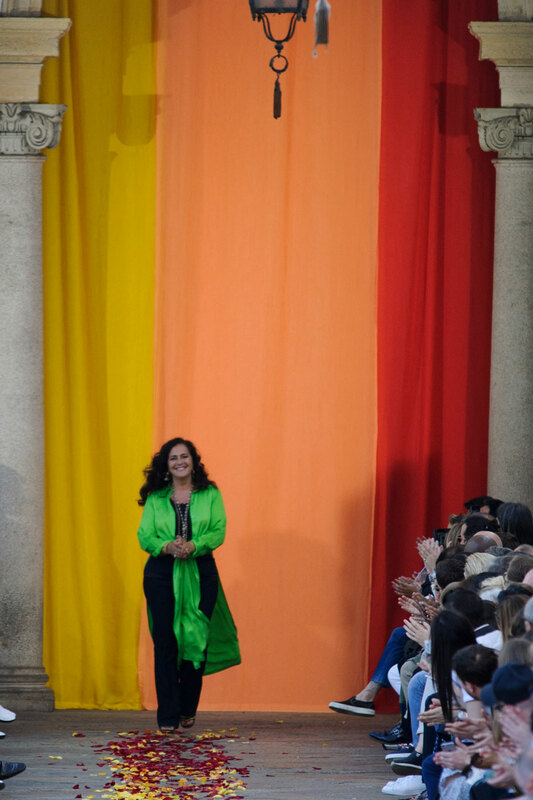 Thinking ahead Missoni has created a powerful collection that engages with the cultural heritage and backdrop of each individual item , a rarity in the fashion industry.